Citing unnamed sources within AMI, the tabloid's parent company, a story in The Daily Beast late Sunday said that Michael Sanchez may have given the texts to the Enquirer. When his name was first floated as a possibility in January, Sanchez told the Washington Post, which is owned by Bezos, that he was not the source and called claims about him "lies, half-truths, sloppy tabloid leaks, [and] crazy conspiracy theories." 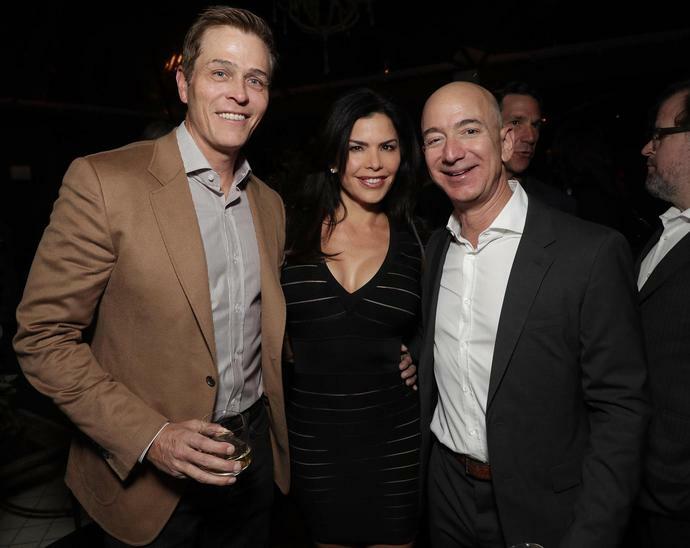 The racy texts between Bezos and Sanchez's sister, former TV anchor Lauren Sanchez, were published in January, after Bezos announced that he and his wife MacKenzie were divorcing. Bezos then launched an investigation into how his private messages were leaked, and last week accused the publisher of the National Enquirer of trying to blackmail him by threatening to publish personal photos. Here's a closer look at Michael Sanchez's role in all of this. In addition to being the brother of Bezos' girlfriend, Sanchez is a talent manager at Axis Management in California. He previously worked at MTV, according to Heavy, and has been married to his husband, Casey Ashby, since 2011. In late January, The Daily Beast reported that Gavin de Becker, Bezos's security consultant leading his investigation into the leak, was interviewing Sanchez. What are Michael Sanchez's political connections? Sanchez has been outspoken about his support for Trump on his personal social media accounts and in his own writing. He frequently criticizes CNN and other news outlets on Twitter and echoes many of Trump's positions, including talking about "fake news" and calling the Mueller investigation "McCarthyism" in December. He also appeared to write a letter to the editor in the Los Angeles Times, where he called himself "a gay man, a Hispanic, a West Hollywood homeowner and strong supporter of Trump." But he also has connections with several Trump associates, including Roger Stone, Carter Page and Scottie Nell Hughes. Stone and Sanchez were in communication about the National Enquirer story after it ran, according to The Daily Beast, and when asked about Sanchez, Stone told The Daily Beast that he is a "very good guy." Page, who got involved in the Russia investigation after serving as an early foreign policy adviser to Trump, also told The Daily Beast that he considered Sanchez a "friend" and that his agency represented him in the past. While Bezos's investigator has not accused Sanchez of anything, The Daily Beast says it has "multiple sources inside AMI" that say Sanchez provided the text messages between his sister and Bezos. The website also previously reported that Bezos' team believes the leaker had political motivations for exposing the messages. A lawyer for the company also told ABC's George Stephanopoulos on Sunday that the source of the messages was someone close to the couple. "The story was given to the National Enquirer by a reliable source that had given information to the National Enquirer for seven years prior to this story. It was a source that was well known to both Mr. Bezos and Ms. Sanchez," attorney Elkan Abramowitz said on Sunday.